Have you started seeing signs of the season? It’s definitely nearing the start of a new school year. Mall store fronts are swapping out summer neons for autumn’s more subdued colors. Shoe stores have tucked sandals away in the sale section and put kids’ sneakers right up front. Even my inbox is showing signs of school just around the corner. I know this is not my usual kind of post, but as I’m editing my first book, I’m thinking way too much about my days as a teacher and some of the common grammar and spelling mistakes I corrected time and again on students’ papers. I know those of you who read my blog are already smarty pants (and I mean that in a good way), but we can all benefit from a review of some common rules occasionally. When I was teaching, I saw some mistakes so often that I still have to stop and think about certain words before I write them, words that used to come to me with ease. So don’t feel too badly about yourself if you make mistakes every now and then. You have probably seen them wrong in plenty enough places to make you question what you thought you knew. So let’s get ready for school together over the next few weeks and review some common writing mistakes. Today’s lesson focuses on it’s and its. It’s = It is, as in It’s hot and humid today. Its = possessive, as in Even the dog gave up its usual spot in the sun because its brown fur made it too warm. If you’re a texter, you may fight this one daily, as Apple has decided to try to wipe out its from the face of the earth by auto-correcting all cases of it to it’s. In the case of these two words, Apple chose the more common way texters would mean it: the contraction of it is. You’ve got it made if you’re texting a friend about a new restaurant and want to say, “It’s on the corner.” But you have to go on the defensive if you want to text, “Its vegan coconut pie is 2 die 4.” Apple will make you go out of your way to be correct with that one. And then you’ve lost all the time you saved by typing 2 and 4 instead of their words. Contractions take out a letter or letters and combine two words, and the apostrophe’s job with contractions is to mark where the missing letter(s) would go. In a sense, the apostrophe bandages the two combined words together. That’s why the contraction of it is needs an apostrophe. It might otherwise fall apart. It is → it’s had a greater need for the apostrophe to bandage it together, and therefore it’s > its. If it helps, think of it this way: the possessive its is so busy possessing whatever word follows it that it can let go of the need to have an apostrophe. So it’s can have the apostrophe to hold itself together. 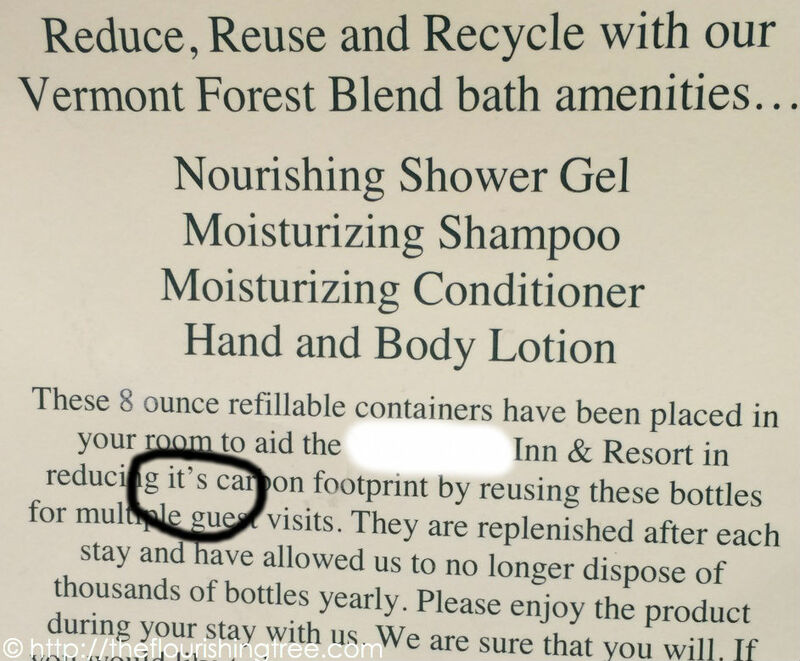 This inn gets kudos for its conservation efforts but earns a demerit for its abuse of the apostrophe. It’s an easy mistake, but it’s worth correcting. We all make mistakes. Fortunately, most of our mistakes aren’t ones we’ve carved in stone. So go out there armed with knowledge of when to use it’s and when to leave out the apostrophe. Because, yes, sometimes an apostrophe can be wrong. This entry was posted in Redhead's red pen and tagged apostrophe, back to school, contractions, grammar, it's or its, language, Lynne Truss, possessives, red pen, words by hopesquires. Bookmark the permalink. Not an English major here… is its’ ever a thing?? Great question! Its’ is a thing, an incorrect one, but still a thing. 😉 Putting the apostrophe after the -s is likely an indication that the writer is confused about the whole it’s vs. its rule and the knowledge that some plural -s words do take an apostrophe at the end, as in “Chris’ running shoes.” Even in that example, some style guides would insist on an extra -s: Chris’s.